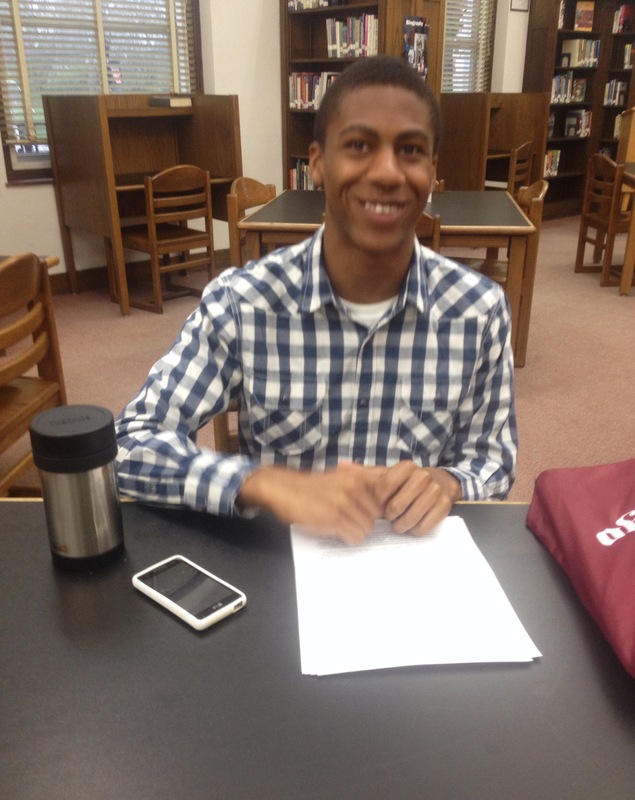 Senior Hayden Mans is committed to the University of Chicago to major in computer science, with a possibility of studying mathematics or Law, Letters and Society. He is most notably known for his talkative nature and ear-splitting laugh. Mans is an Eagle Award nominee, Scholar Athlete, track sprinter, NHS member, and nominated commencement speaker for the class of 2015. Mans was invited this year to attend the National Academy of Future Science for the Technology Leaders Award of Excellence. “I just got invited to this week-long summer program at Harvard run by Buzz Aldrin…it’s for future leaders in technology,” Mans said. He wasn’t aware of the program and didn’t apply. Harvard University reached out to him for the opportunity, yet it’s uncertain if he will attend because of the cost. “[School is] pretty hard this year…I used to enjoy math, I don’t really enjoy anything now. Hah! I mean, it’s fun to talk to Mrs. Brewster but it’s hard to do English class. It’s fun to do math, but it’s not as fun to be in math class, although Mr. Dunn’s pretty cool,” Mans said. Mans hates running with a passion but loves technology, math and reading. He explained how supportive and friendly he felt the Webster community has been during his time here. Mans is considering majoring in Law, Letters, and Society, which is a program of study dealing with law in customary and civilian legal systems. “You have to compete for it; they pick 25 people after their first year. It’s kind of a wide-open major, but you do lots of stuff like society, law and literature. It’s a combination major, and super competitive. The kids are crazy smart,” Mans said.